An everyday occurrence. Gus screamed at me as I turned quesadillas. 30 seconds left until his favorite food was in front of him, but he wanted more food now! My frustration crept up with each second as he kept screaming. If only he got what I am doing for him right now. Then I heard it… that’s you. 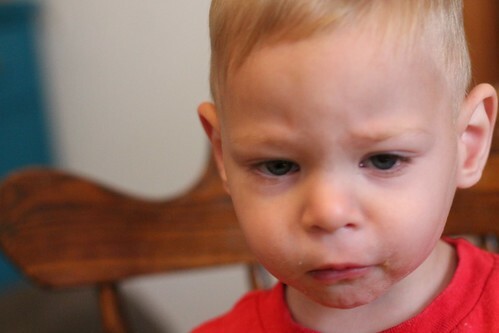 As I ate my lunch, I realized that I can find myself in Gus’s tantrums. Screaming on the floor because he doesn’t want to get up and walk into the kitchen to get his drink. Demanding more when he already has plenty on his plate. Violently throwing an unwanted snack on the ground. That’s me. Daily, I squirm in my frustration about life instead of trusting him and his promises. Ungratefully, I demand more. I demand that God hand it to me here and now, instead of patiently waiting or inching closer to Him. Telling God this is not what I wanted. 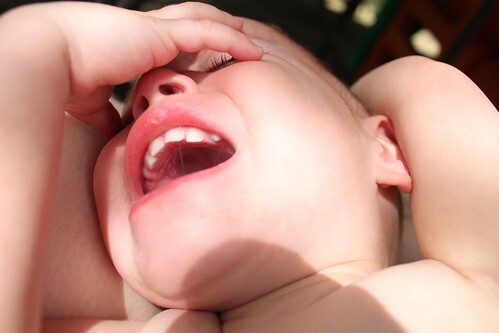 Gus’s tantrums are age-appropriate, expected. Mine remind me that I have so far to come. But, today, I’m thankful for my child who screams through meal times, to remind me that as I meet all of Gus’s needs and try to teach him that I always will… God will meet all of my needs, always. Can I just OUCH!?! Not what I wanted to hear today but what I needed to hear. Thank you Molly for being the voice of Jesus. I agree with the first comment! That was so timely for me! Learning to “quietly” trust when the devil says you’ve been forgotten 🙂 Thanks for the post.